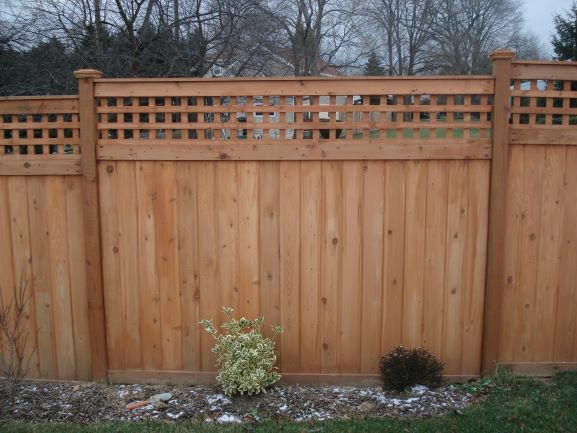 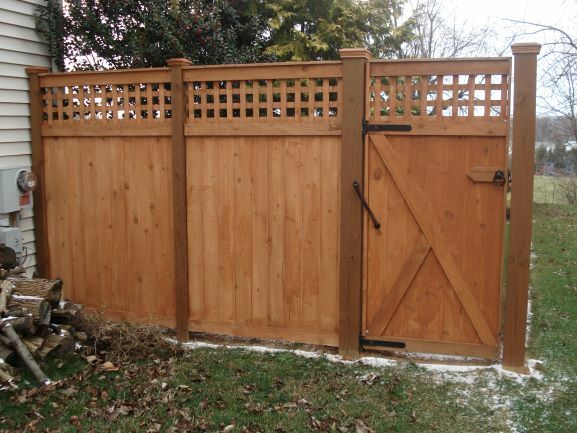 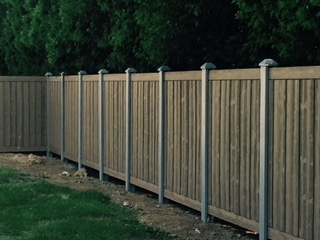 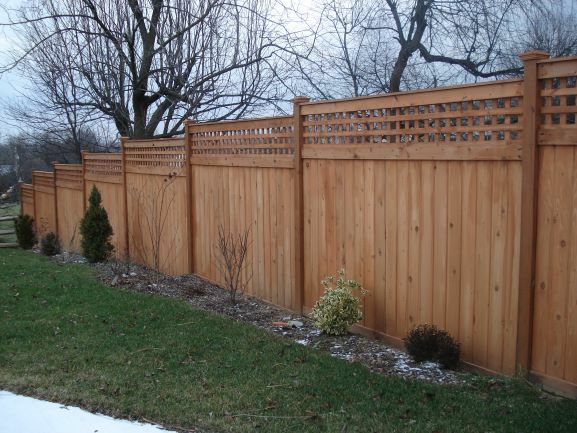 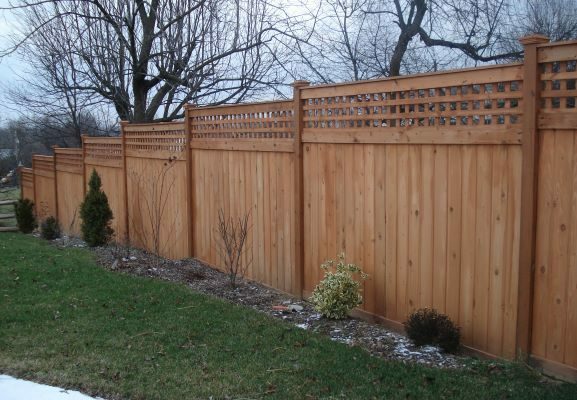 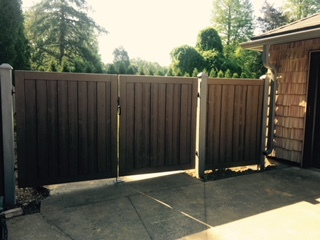 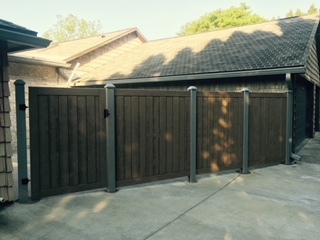 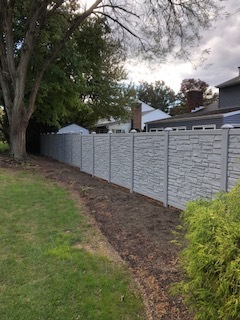 This is a 6’h WKC framed tongue and groove privacy fence stained in Olympic’s Elite Semi-Solid Dark Ash. 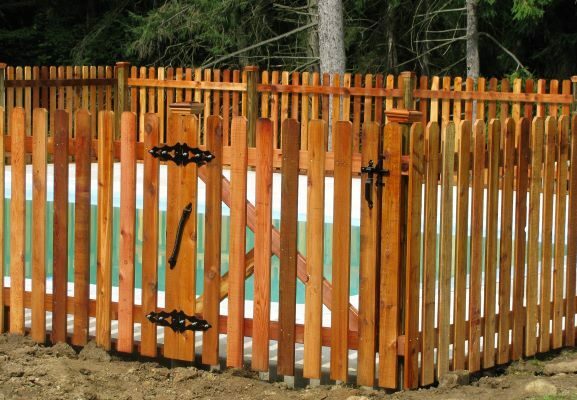 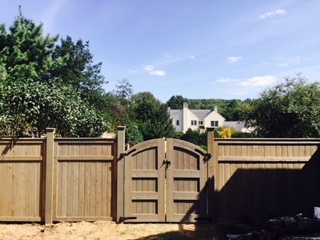 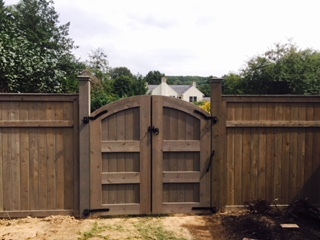 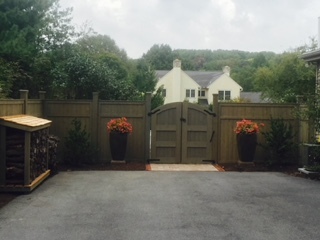 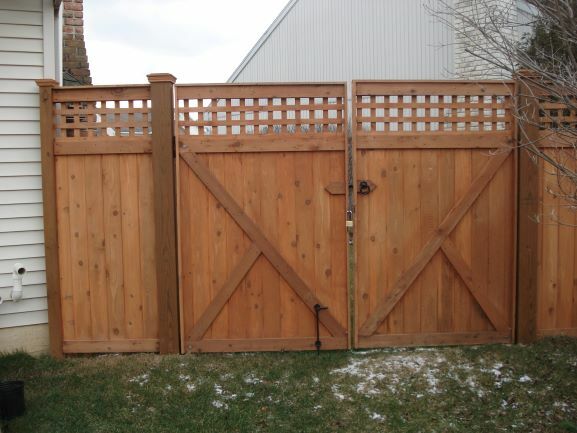 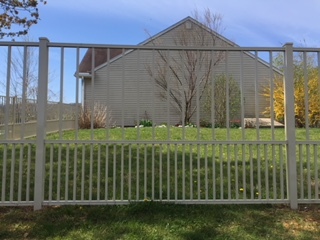 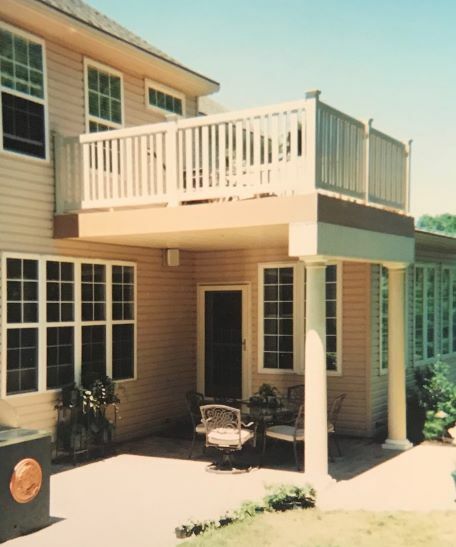 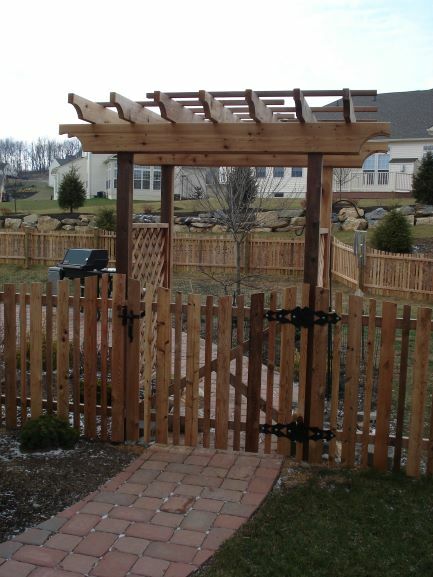 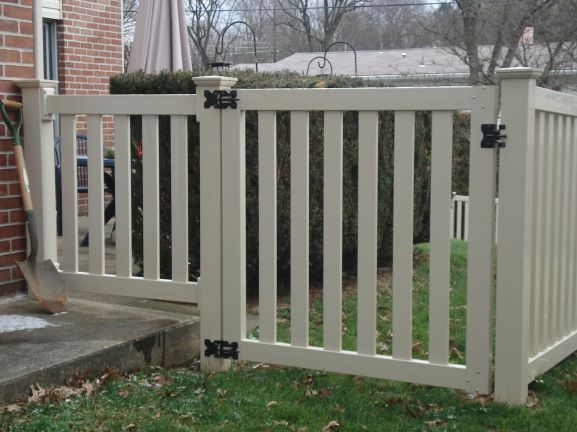 Custom built 6’w continuous, arched swing gate; has Snug Cottage’s pool code decorative hardware. 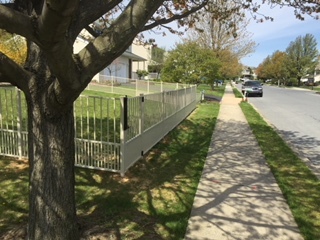 The last two sections along drive way step down to 4’h. 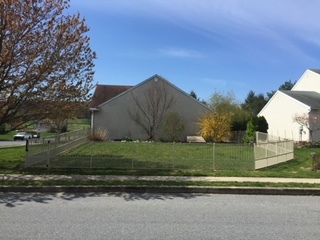 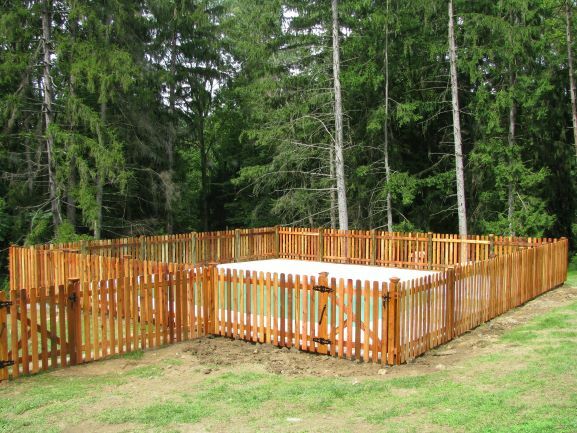 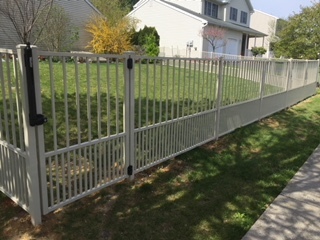 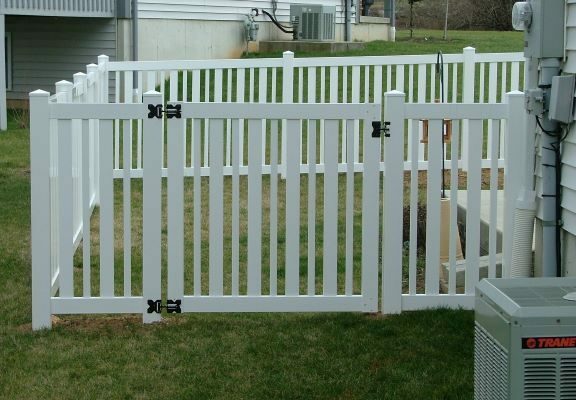 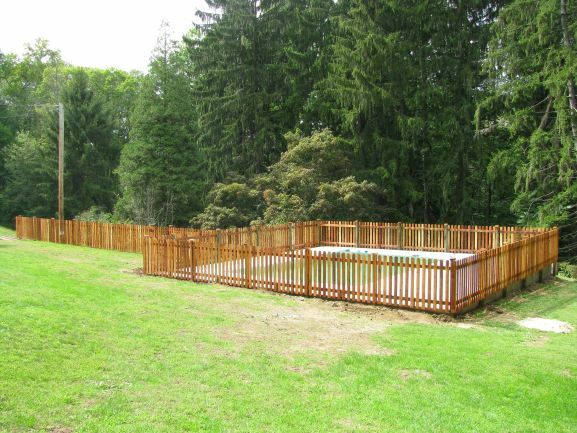 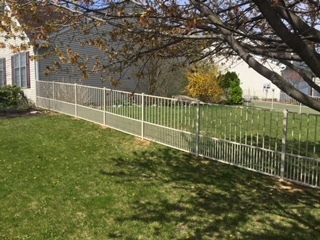 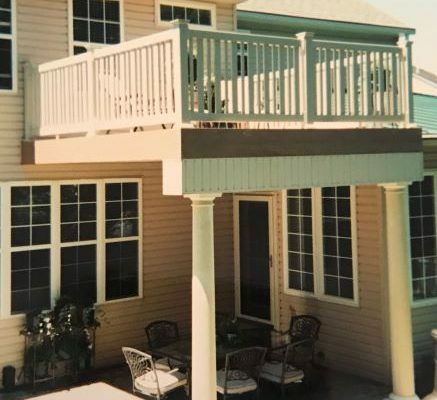 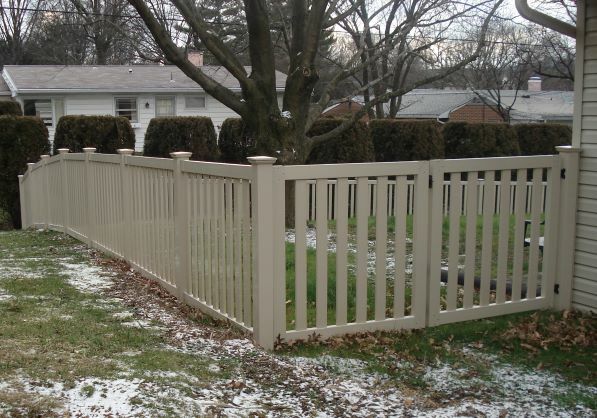 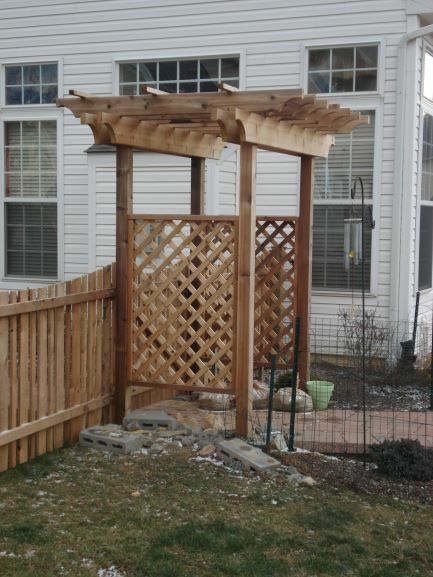 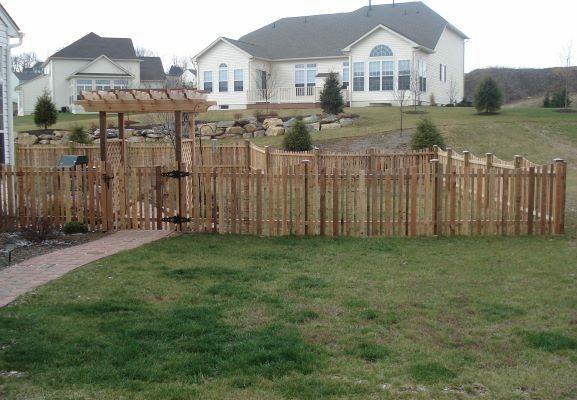 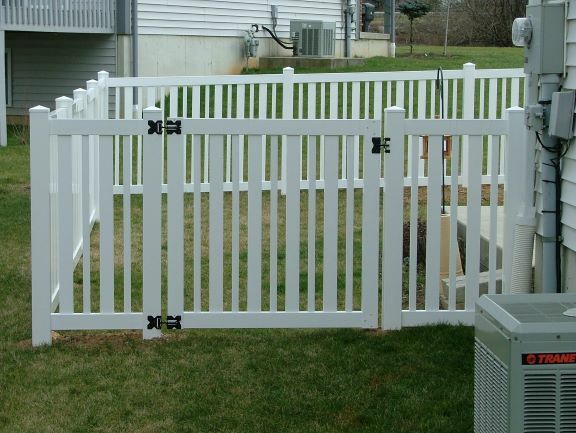 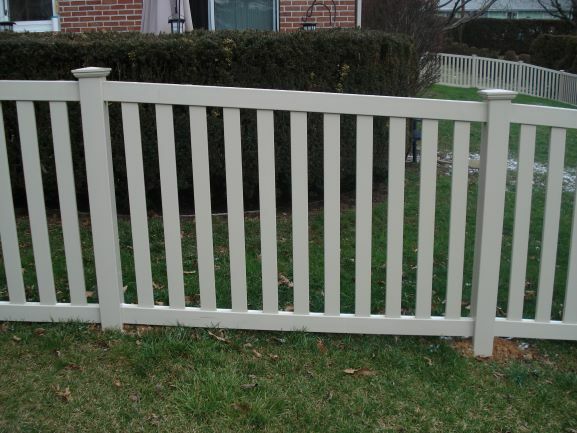 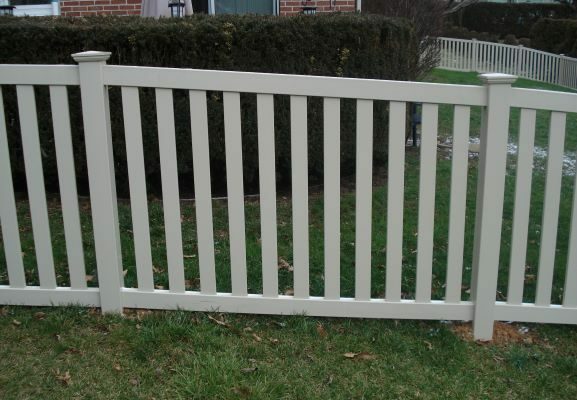 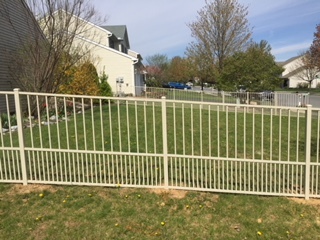 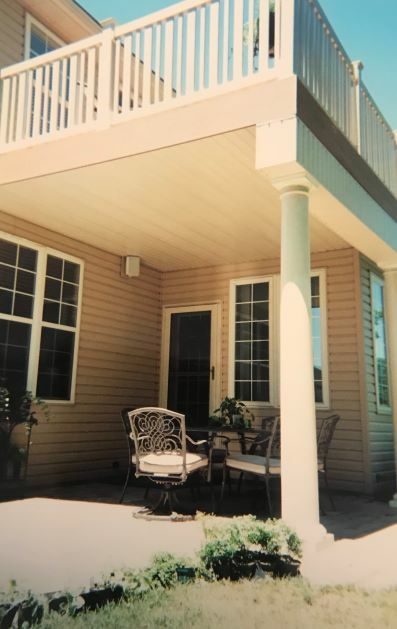 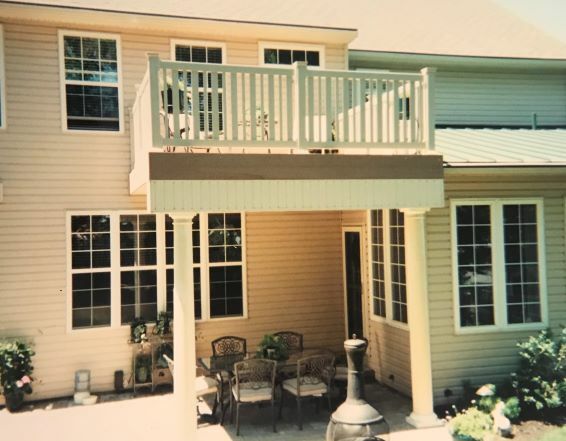 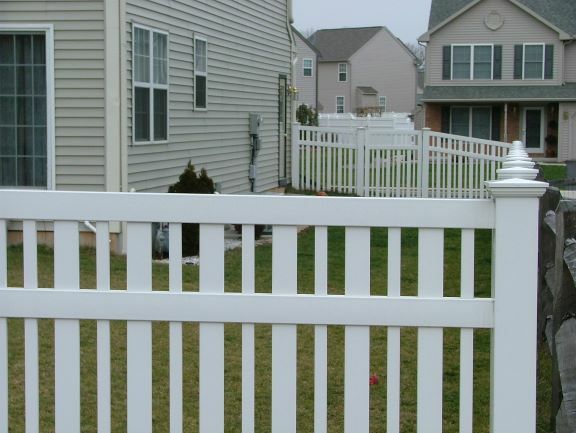 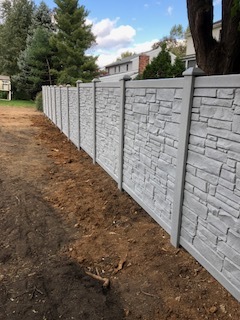 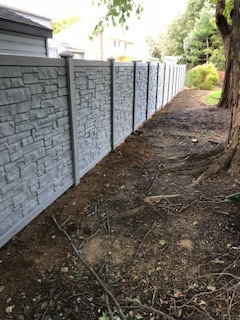 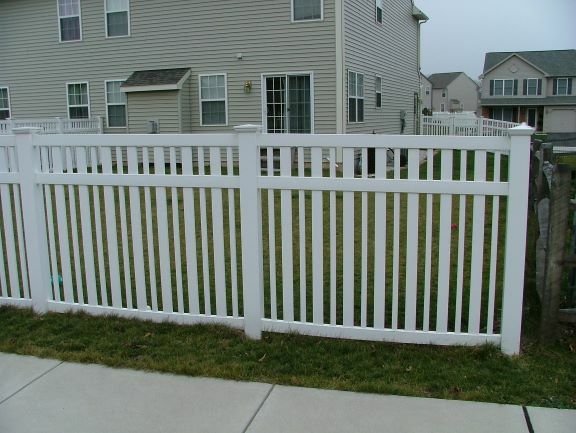 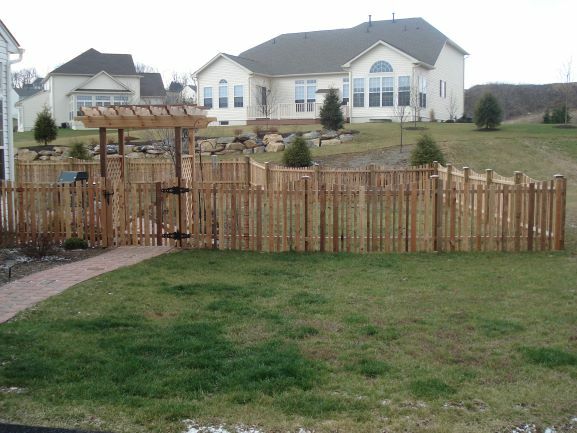 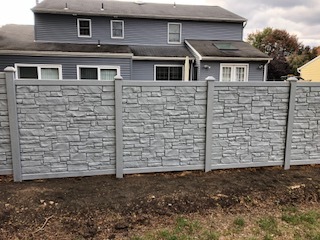 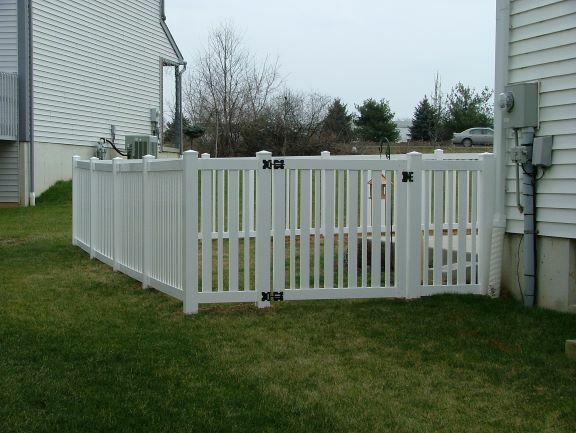 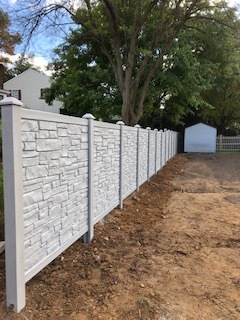 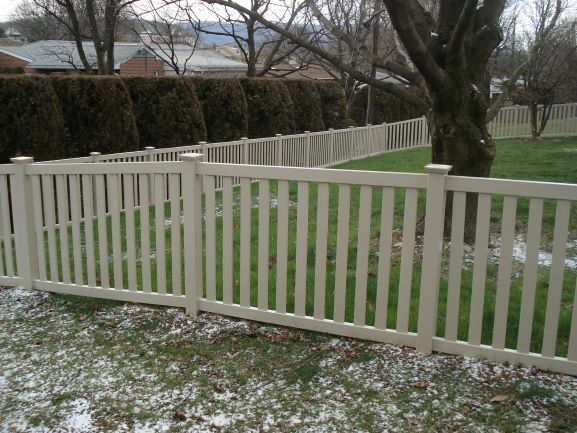 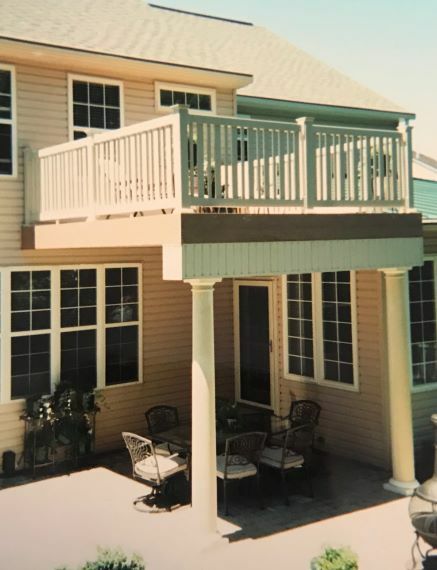 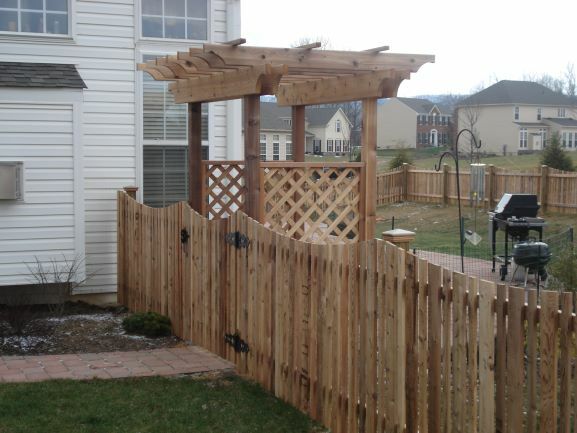 Fence uses 6”x6” extra long posts capped in stained flat hatteras caps. 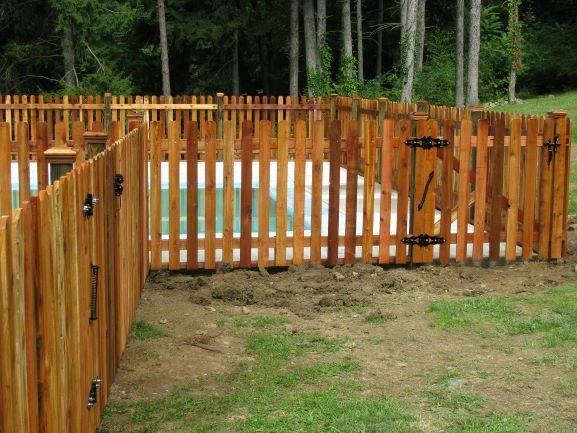 Firewood pad includes composite deck boards in morado and measures 2’d x 8’w x 4.5’h. 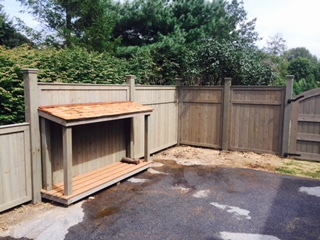 Natural cedar shake roof treated with water sealant. 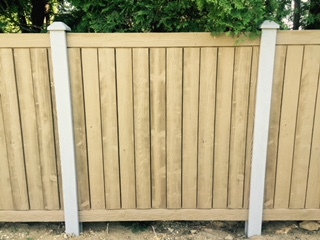 All posts and frame work stained in Dark Ash to match fence.